This year marks the 120th anniversary since Giovanni Agnelli founded Fabbrica Italiana Automobili Torino back in 1899, a "milestone that very few car manufacturers around the world have reached,” Fiat proudly states. To celebrate, the Italian automaker is rolling out a trio of obligatory special editions dubbed the "120th" range. Based on the iconic 500 hatchback, 500L minivan, and 500X compact crossover, Fiat's 120th family will debut at the 2019 Geneva Motor Show next month. Kicking off the commemorative range is the Fiat 500 120th, which is distinguished from the standard model with a two-tone black and white "tuxedo” paint scheme, a chrome strip on the hood, a black roof, and 16-inch alloy wheels with copper finish. Inside, the cabin sports a black dashboard and exclusive pinstripe (black with vertical stripes) seat upholstery, with embroidered "500" logo. The celebratory 500 will be sold fully equipped with fog lamps, 50/50 rear seat and bespoke mats, and will be available as a hatchback or convertible with a choice of three engines: a 1.2-liter with 69 hp, a 0.9-liter Twin Air engine with 85 hp, or a 1.2 LPG engine with 69 hp. 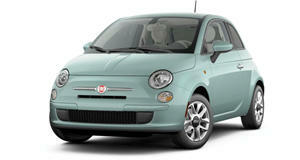 Other color choices include Cortina Grey, Carrara Grey, Vesuvius Black, Ice White, and Gelato White. 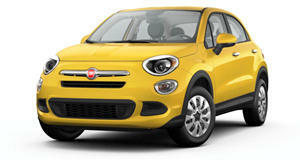 For the first time, the Fiat 500X crossover is available with a two-tone paint finish for the 120th anniversary model. As well as the black and white Tuxedo combination, it is also available in a choice of Pearl Tuxedo (Pearl White and black) and Silver Tuxedo (Silver Grey and black). The Fiat 500X 120th also gets black caps on the side mirrors, black side sills, chrome window frames, full LED headlights, and 16-inch alloy wheels with a dark finish, or optional 17-inch alloys. Inside, the 500X 120th features copper-colored upholstery, control panel fascia, and vinyl armrests on the doors, along with a celebratory logo. Standard equipment includes dusk and rain sensors, automatic headlights and parking guide system. A choice of four engines are available: a 1.0-liter FireFly Turbo with 120 hp, 1.6-liter E-torq with 110 hp, 1.3-liter Multijet with 95 hp, and 1.6-liter Multijet with 120 hp. All models get either a five- or six-gear manual transmission. As for the 500L 120th-anniversary edition, the minivan gets the same two-tone black and white paint finish, two-tone 17-inch alloy wheels, and black and chrome finish details on the front grille. The interior features a black fascia on the dashboard, and exclusive seats upholstered in grey fabric and black eco-leather, enhanced by copper-colored stitching and the "500" logo. 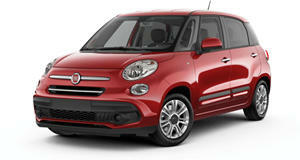 Fog lamps, dusk and rain sensors, and rear parking sensors also come as standard for the 500L 120th. Power is provided by either a 95-hp 1.4-liter Fire petrol engine with a six-speed manual transmission, a 95-hp 1.3-liter MultiJet II turbodiesel with manual or Dualogic robotized transmission or the 120-hp 1.6 MultiJet paired with a manual transmission. Joining the special-edition Fiat 500s at the Geneva Motor Show will be the range-topping Tipo Sport developed with Mopar and the Panda Connected by Wind special edition, the result of a partnership between Fiat and Italian Telecom company Wind Tre.